The latest public release of Solid Framework SDK is now available for download from the developer portal at www.solidframework.net. This is version 10.0.8920. Improved consistency when dealing with borderless tables. Identifying whether or not text is part of a table is complex, particularly when they are no borders to delimit the table edges. This release increases the accuracy with which this is achieved. Solid Framework aims to recreate a single table where it appears as if it has been split over multiple pages within the PDF (i.e. it is a single “logical” table). 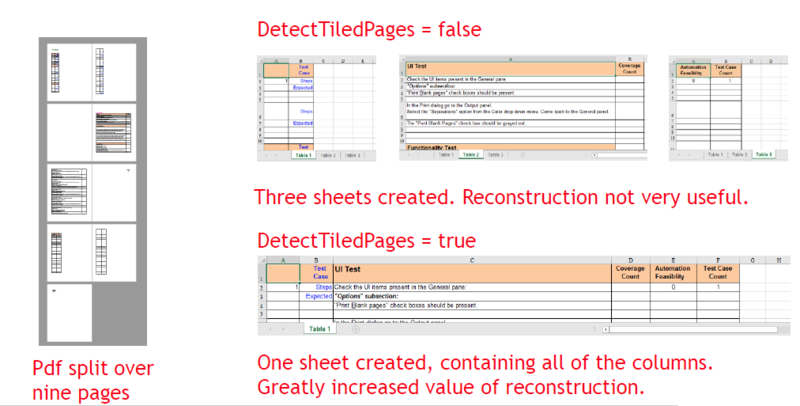 This release improves detection of table columns, which allows more logical tables to be recognised and reconstructed. This release is better at identifying text that represents column titles (i.e. the first row of a table).